John W. Peeples, age 80, of Chatsworth passed away on Saturday, April 14, 2018 at Tranquility of Dalton. John founded Peeples Funeral Home with his brothers, Harlan and Julian, in 1965. He and his wife, Frances, eventually became the sole owners and went on to serve their community for decades. John was the eleventh of fourteen children in a farming family, and a strong work ethic was instilled in him from an early age. Whether he was at the funeral home, on his properties, or in his woodshop, John thrived on hard work and delighted in solving challenging problems. He taught his children and grandchildren to love God, take pride in their work, have a sense of humor, and always consider the needs of others before their own. John served in the U. S. Army Reserve and was a member of Chatsworth First United Methodist Church and many organizations, including Lions Club International, American Legion Post 167 of Chatsworth, the American Red Cross, Kiwanis International, the Eton Masonic Lodge #509 F&AM, and various trade associations. He was also inducted into the Murray County High School Alumni Hall of Fame. John was an avid big-game hunter and fisherman, and he enjoyed restoring antique cars, woodworking, and collecting knives. John was preceded in death by his wife of 53 years, Frances Shields Peeples; parents, Isaac Mortimer & Leona Ratcliff Peeples; and brothers, Frank, George Robert, Mort, Jr., Morris, Bernard, Harlan, Paul, and Gerald Peeples. Survivors include his daughters and sons-in-law, Amy & Jerry Herndon and Valerie & Mark Talley; grandchildren, Wesley & Lesley Herndon, Rachel Herndon, Sloan Witherow, Millie Witherow, Emily Talley, and Ella Talley; great-granddaughter, Quinley Bryn Herndon; brothers and sisters-in-law, Dr. James & Ann Peeples of Hickory, NC and Julian & Jane Peeples of Cohutta; sisters and brother-in-law, Carolyn Anderson of Chatsworth, Martha Ann & Jesse Hart of Montgomery, TX, and Mary Nell Calfee of Lufkin, TX; and many nieces and nephews. The family of Mr. Peeples would like to extend their sincere thanks to the staff of Tranquility of Dalton and Amedisys Hospice for the excellent care that they provided. Funeral services to celebrate John’s homegoing will be held at 2:00 pm on Thursday, April 19, 2018 in the chapel of Peeples Funeral Home with Rev. Danny Cochran and W. H. (Jim) Talley, Jr. officiating. He will be laid to rest at Chatsworth Heights Cemetery. John’s nephews will serve as pallbearers, and members of the Chatsworth Lions Club will serve as honorary pallbearers. Military honors will be provided by American Legion Post 167 of Chatsworth. The family of Mr. Peeples will receive friends at the funeral home on Wednesday from 4:00 pm until 9:00 pm. 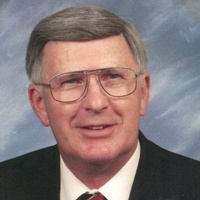 Memorial contributions may be made to Chatsworth First United Methodist Church: 111 W Cherokee St, Chatsworth, GA 30705.